The Lebanese Muslim Association’s Mostafa Rachwani took a similar line. “No one ever wants to talk about the deeply rooted racism Fraser’s migrants had to face,” he wrote, or “the aggressively uninviting society these communities arrived to… [or] the residual effects of having to battle these issues for so long.” He argued that violence and hostility — including having your religion “demonised in the media” — stripped communities of their humanity and self-worth, and that this “dehumanisation” was reflected in some people’s desire to engage in gang violence or fight abroad. To understand the thinking at the time, sociologist Mehal Krayem and I looked at the two cabinet submissions made at the height of the exodus from Lebanon, and at other official documents from the time, as well as Fraser’s memoir. These sources provide a nuanced view of the government’s response to a complex and evolving humanitarian situation. In a cabinet submission dated 17 September 1976, immigration and ethnic affairs minister Michael MacKellar sought cabinet approval to relax requirements for Lebanese “who had suffered hardship and who had relatives in Australia.” MacKellar wanted extra staff and resources to process the growing number of applications from Lebanese who had fled to Cyprus as the humanitarian situation worsened in Lebanon. In a second submission, a little over two months later, he sought cabinet approval to discontinue after 31 December 1976 the relaxed requirements for nominations lodged by Australian residents for the entry of Lebanese relatives. In response to an approach from the local Lebanese community after civil war broke out in 1975, the Fraser government had agreed to relax the migration criteria for affected Lebanese. With no established process for accepting refugees — no dedicated branch in the department, no refugee visa category and no special settlement assistance — Australia’s practice was to admit refugees as migrants on an ad hoc basis. 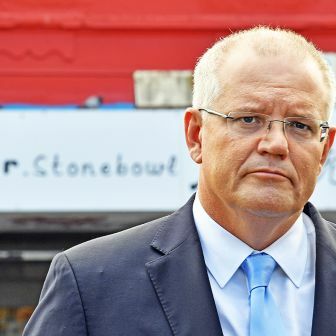 Fraser had a vision of building a diversified Australian refugee and special humanitarian policy that would treat refugees and people escaping war or natural disaster — including Lebanese, Vietnamese and East Timorese — fairly and compassionately. It was agreed that relatives of Lebanese already living in Australia would be allowed entry under relaxed rules on the condition that the local community would cover their travel and settlement costs. The government would accept no responsibility for post-arrival services for this group. Airfares and other assistance may have been within the resources of better-established members of the Lebanese community, who tended to be Christian. But the requirement put recent arrivals with limited resources, who tended to be Muslim, in a difficult position. Faced with the alternative of leaving their relatives in a war zone, they went into debt to pay airfares. Houses became overcrowded as relatives moved in. Unemployment became rife as newly arrived relatives competed in a depressed labour market. 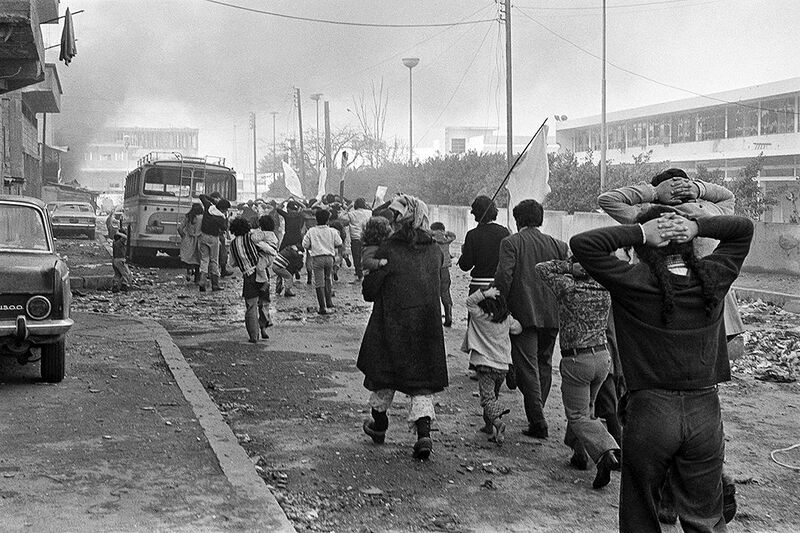 In late March 1976 the civil conflict in Lebanon forced the evacuation of the Australian embassy in Beirut. An Australian migration officer operated out of the Dutch embassy in Damascus until the end of June, when handling of Lebanese nominations was moved to Cyprus. With long delays in processing, the Cypriot authorities were faced with “the social, economic and political problems of destitute Lebanese,” according to the September cabinet submission. They wanted clear guidelines from Australia so that they could better control entry to Cyprus. 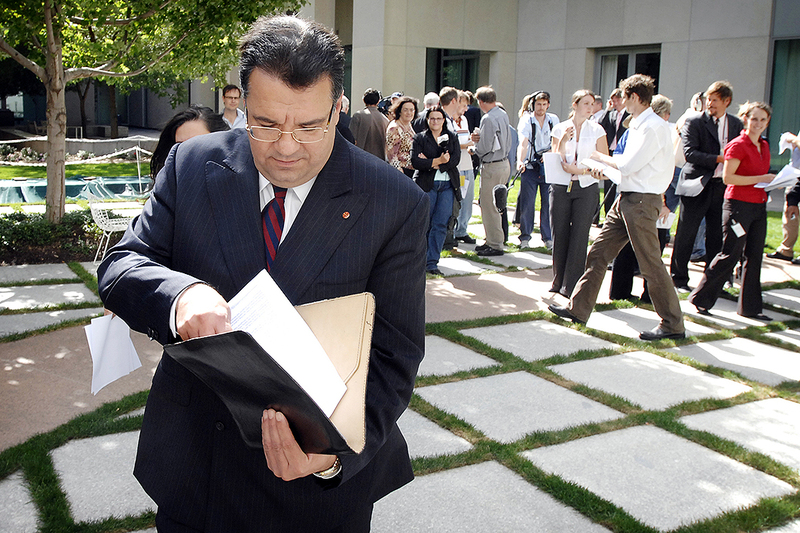 Extra Australian immigration officers were sent to manage the escalating workload. The submission blamed the delays on the time it took to obtain medical clearances and the absence of on-the-spot security and character clearances. But the Canadians, operating within the same constraints, were issuing visas at more than twice the rate; they took five days to complete the entire process, while the Australians took up to four weeks. Meanwhile, with no end to the war in sight, the estimated 8000 Lebanese on Cyprus had to find scarce and costly accommodation. Cabinet decided to continue the special operation in Nicosia until 31 December 1976 and then review it. “Normal immigration criteria should apply in respect of Lebanese migration to Australia…,” it concluded, “with the additional criterion that nominated non-dependent parents do not have to meet economic viability criteria and nominated brother and sisters of Australian residents and their dependants be approved subject to compliance with the normal health and character requirements.” Under a new requirement, only permanent residents of a year or more’s standing were eligible to nominate migrants, unless they were a spouse or a dependent child. Nine weeks later, in the November 1976 cabinet submission, MacKellar pointed out that policy on Lebanese migration had needed to adapt to changing circumstances in the conflict in Lebanon, but that it was his intention to reintroduce normal migration criteria after 31 December. The conflict in Lebanon had eased and the “quality of applicants” and the high rate of nominations was causing concern. The chief migration officer in Cyprus had reported a high rate of illiteracy, poor personal hygiene, large families and a rise to 90 per cent in the proportion of applicants who were Muslim. “Misrepresentation and deliberate attempts to conceal vital information are prolonging interviews,” he added. The key lesson for the government and the immigration department — and the essence of Fraser’s real “mistake” — was that planning and post-arrival support should have been better. In the absence of a formal refugee policy at the time, ad hoc arrangements were put in place. With no separate visa category, refugees were indistinguishable from migrants, which means we still don’t know the exact number of arrivals. 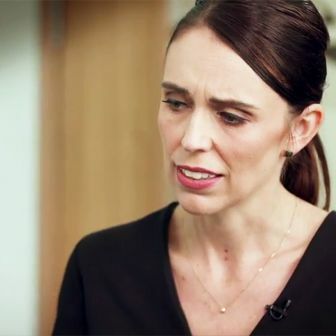 And because formal refugee criteria weren’t applied, people who might have qualified under the UN Refugee Convention were classified as migrants and their special needs ignored. No matter how harsh the conditions from which we rescue refugees we cannot claim moral credit simply by permitting them to enter this country. Just as the admission of refugees for reasons of humanity involves relaxing our normal intake criteria, so also does our continuing responsibility to these refugees entail modification of normal settlement practices. The Lebanese program lasted just nine months and ended in December 1976. The following May, MacKellar announced plans for a comprehensive refugee policy and new procedures for designating and responding to refugee situations. An interdepartmental committee would now advise him, in consultation with voluntary agencies, on Australia’s capacity to accept refugees. Voluntary agencies would be encouraged to participate in refugee resettlement and the department’s refugee unit would be strengthened. People “in refugee-type situations who do not fall strictly within the UNHCR mandate or within Convention definitions” would also be covered. That same month, Malcolm Fraser asked cabinet to approve a major review of post-arrival programs and services, to be headed by Melbourne solicitor Frank Galbally. In March of the following year, the government established the Determination of Refugee Status Committee to process applications from people in Australia, or arriving, who wished to seek refugee status as defined by the UN Convention. Then, in May 1978, Galbally made his report to government, which changed the face of Australia’s settlement services. Many of those who came to Australia in subsequent years as refugees or under the Special Humanitarian Program were settled in smaller towns and rural cities under the Community Refugee Settlement Scheme. Malcolm Fraser believed that the problems faced by Lebanese refugees were “the government’s responsibility as well as that of the individuals concerned.” If Australia were to absorb more migrants harmoniously, it was essential that they had real equality of opportunity. What purpose does it serve, two generations later, to demonise the Lebanese community? The number of arrivals during that period was small and terrorism scholars have found little evidence directly linking Australians charged with terrorism to those who entered the country under the Lebanese humanitarian arrangements in 1976. The only link may be membership of a community that has suffered social disadvantage as a result of unsupported settlement. It appears that the events of September 11, 2001 changed things radically for the offender… He himself was abused and called “Osama bin Laden” and a “terrorist” by non-Muslim workers he encountered. At a more abstract level, the offender perceived the threat in terms of all Muslim people being under attack, where the “war on terror,” as it was described, was translated by some Muslims into meaning a “war” against all Muslims. Judith Betts is a former immigration officer and co-author, with Mehal Krayem, of “Strategic Othering: Framing Lebanese Migration and Fraser’s ‘Mistake,’’’ which appears in the latest edition of the Australian Journal of Politics and History.